Everything about the video clip for Rihanna’s previous single ‘Only Girl (In The World)’ was positively dream-like and a little ethereal. 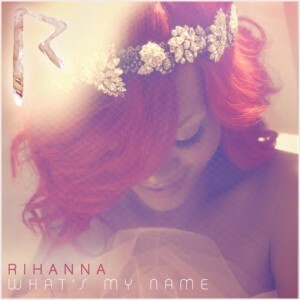 Even the cover image for her new single ‘What’s My Name’ suggests that she might be headed in a similar direction here. But no – Ri Ri is back from her little jaunt to the country and is right back down to earth in the middle of New York City. And whereas Kelis’ milkshake brought all the boys to the yard, it seems like Rihanna’s carton of milk is bringing all the boys to the back of the convenience store. Well, to be fair it’s only one boy – and in this instance, it’s guest rapper Drake. There’s a street walk (a rather risky maneuver when you’re such a massive global pop star), some time up against the fence and a little bit of hot washing up action, before everyone seems to head into the great outdoors once again for a nighttime party in the park. While we’re not loving this as much as ‘Only Girl (In The World)’, there’s no denying Rihanna’s appeal… She’s hot. One of the best songs of the year, probably my favourite on ‘Loud’ for the moment too.